My conversation with author and blogger Stephen R. Burns, who has published two critically acclaimed works of fiction (The Last Angel and City of Slaves) and is renowned for his soulful Toronto sports blogging. 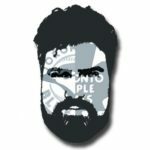 We discussed what inspires him to keep writing for others in an era where so few are actually reading, how he feels about the current state of sports journalism and the industry in general, on the subject of why the Blue Jays grossly underestimated their fanbase in 2018, his take on Mark Shapiro’s relationship with the city, when he thinks a prospect stops being just a prospect, and why the DeMar DeRozan for Kawhi Leonard trade had a profound impact on his loyalties to the Toronto Raptors franchise. Be sure to follow Stephen (@StephenRBurns) on social media and check out his adept literary prowess on Amazon and with Goodreads reviews.